All hail Queen Zendaya! She uploaded an Instagram picture on Feb. 20 of her wearing a gorgeous crown and some hot red lips. In our eyes, we think she definitely looked like a queen! 17-year-old Zendaya Coleman looked like royalty on Feb. 20. We love her shiny, red lips and glossy curls in the Instagram post she uploaded on Feb. 20. Read more below to get her look! Zendaya never ceases to impress us with her beauty. She rocked some shiny, red lips on Feb. 20 with a cute red sweatshirt! We love how the red lips really glammed up her whole look. 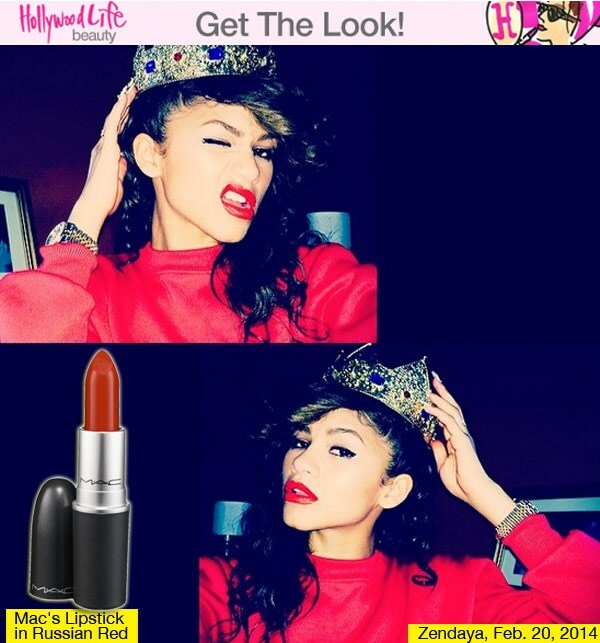 To achieve Zendaya’s red lips, we recommend MAC’s Lipstick in Russian Red, $16. It’s super creamy and very pigmented. To get the glossy affect, just apply a clear lip gloss on top!